The large decline in home sales in Vancouver continued in April with 3,553 units sold, down 25.7 per cent from a year earlier and down 0.7 per cent from March. However, sales remained 4.8 per cent above the 10-year average for the month and figures from the Real Estate Board of Greater Vancouver reveal an increased demand for condos and townhomes. This sector of the market has increased from 58.2 per cent of total residential sales in the first four months of 2016, to 68.5 per cent in the same period of 2017. 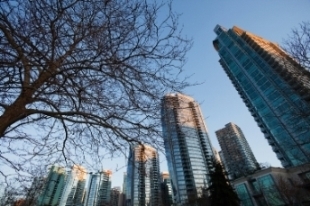 The decline in sales volume has been softer for the condo and townhomes sector. While detached sales dropped 38.8 per cent year-over-year in April, the decline for apartments/condos was 18.3 per cent and the drop for attached/townhomes was 10.8 per cent. Prices remain elevated with the detached benchmark up 8.1 per cent year-over-year and 1.8 per cent month-over-month to $1,516,500. For apartments, the price gain was 16.6 per cent year-over-year and 3.1 per cent month-over-month to $554,100; and for attached it was 15.3 per cent year-over-year and 2.4 per cent month-over-month to $701,800.